On a walking safari through the African bush, you might notice an old termite mound with many holes in it . 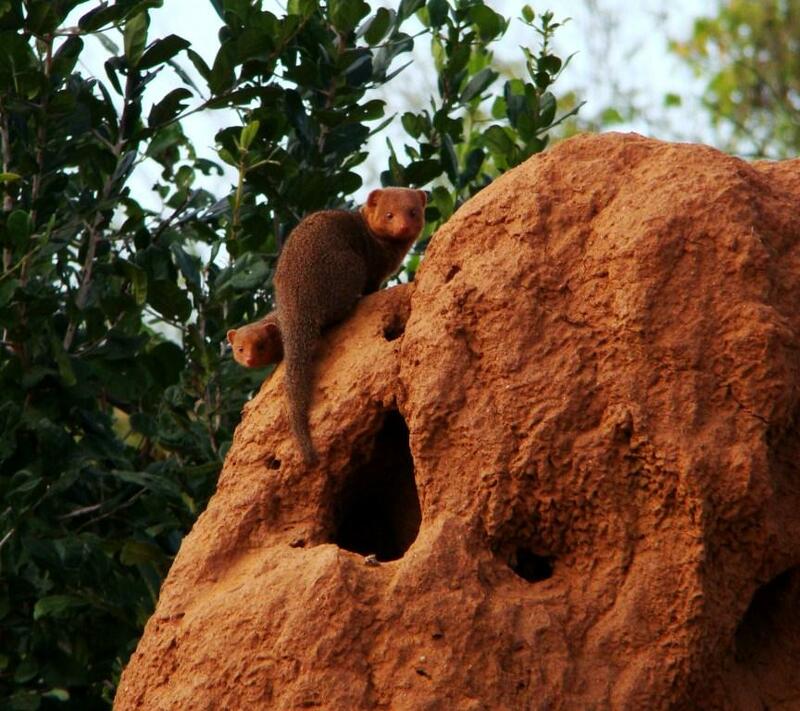 These holes are quite often utilised by Africa’s smallest carnivore , the Dwarf mongoose ( Helogale parvula) . They weigh in at between 200 and 300 grams .